I’m of the opinion that there are not many things more soothing that a fine glass of wine. Pair some vino with your meal and the taste gets elevated. Chill and unwind with a pleasing glass and all your troubles slip away. Combine a getaway with wine tasting and now you have a vacation you won’t soon forget. Living in Los Angeles, there are plenty of wine trips at our disposal. Two hours by car to the north we can getaway to Santa Barbara. Go a little further north and there’s the Central Coast; think Paso Robles, Santa Ynez Valley, and Solvang, which the film Sideways made extremely popular. Even further north if you’re really looking for a getaway, of course, there’s Napa Valley. But that area has become so trendy that some say you can’t even make left turns into wine tasting rooms anymore because there’s so much traffic. But only 50 miles north of San Francisco, there’s the oasis that is Northern Sonoma County filled with 150 wineries and at least 50 lodging destinations. I was fortunate enough to getaway for a few days to the Wine Road, a beautiful area of wine country that includes Alexander Valley, Dry Creek Valley, and Russian River Valley. And now we can fly direct via Alaska Airlines from LAX to Santa Rosa in just over an hour (the flight includes free beer and wine, and you can even bring back a case of wine at no cost). There are several wine events throughout the year but three of the biggest are: Winter Wineland where over 130 wineries offer limited production wines, January 18 and 19, 2014; Barrel Tasting where you can sample wines still in the barrel and buy “futures” from February 28 to March 9, 2014; and A Wine & Food Affair where you can spend a wonderful weekend wine and food pairing every November. A free Wine Road map is the key to exploring the glories of the area and is available at the Wine Road along with detailed event information and ticket sales. Make sure to buy your Ticket to the Wine Road to enjoy tastings at over 80 wineries at no charge. You’ll also get discounted wine purchases at most wineries in addition to lodging specials. Ticketholders will experience a unique visit at each winery, including private winery tours, free souvenir logo glass, barrel tastings, exclusive release and limited production wine tastings, and behind-the-scenes tours with some of the winemakers. To make sure there is no drinking and driving on this trip, there are plenty of transportation companies that will drive you from winery to winery. Some will select a package depending on your tastes in wine, while others will let you pick a particular region you may be interested in visiting, and others will make it a day adventure and take you around to all three valleys. There’s even one company that will drive you around in a big, red fire engine. Prices will vary so you’ll want to do your homework when selecting a transportation company but it’s well worth it not to have to drive all day while there’s plenty of wine to drink. 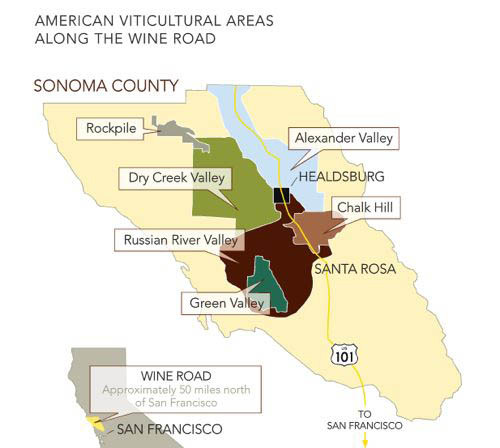 Most of these wine regions tend to be Zinfandel heavy (think along the lines of Primitivo), which isn’t as readily available to Southern California wine drinkers at most bars or restaurants. Zin tends to be a robust red wine, although a semi-sweet rosé known as White Zinfandel has six times the sale of red wine in the United States (according to 2006 U.S. wine sales). 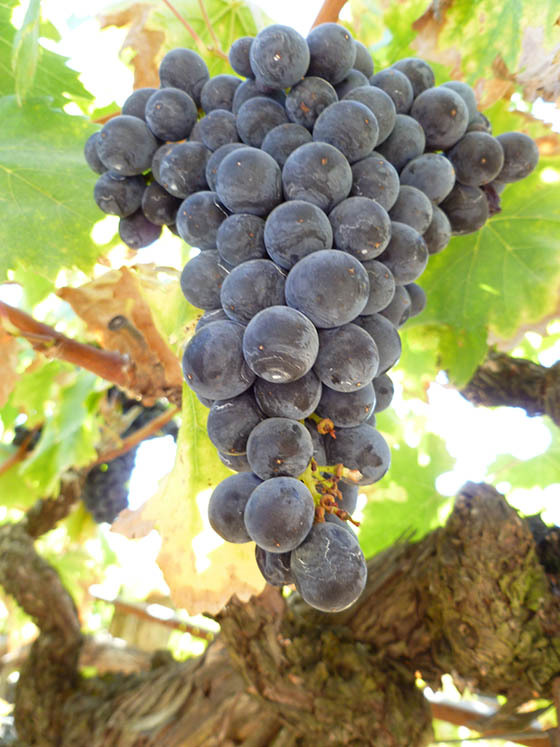 Sonoma County’s production of Zinfandel is second only to San Joaquin County. I was a little unsure of drinking so much Zinfandel at first, but the Zin from this area is so delicious. I came back with a whole new appreciation for it and now tend to scope all wine menus for any Sonoma County Zinfandel I can find..